Emily brings first hand experience to the board, Her parents were foster parents for 11 years. 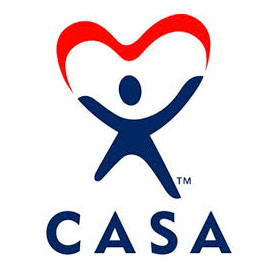 She was also a CASA Volunteer in Arizona for two kiddos. Currently, she lives in Sullivan and is a mom to 3 kids. She is actively involved in the Sullivan Area Chamber of Commerce and is a business owner – Show Me CPR and Personal Safety (CPR, First Aid, Fingerprinting, Defensive Driving, Personal Safety, Public Safety Communications Consulting, and Car Seat Installations/Inspections). Tim's affiliations include: Washington Elks, Knights of Columbus, St. Francis Borgia Regional High School Athletic Assoc., and Hermann High School Deca Advisor. He is also a member of Our Lady of Lourdes Parish, St. Francis Borgia High School Endowment Fund committee, Washington Knights of Columbus board of directors. Tim’s career included 30 years in Manufacturing Procurement and Financial Planning. He now teaches business courses at Hermann High School in Hermann, Missouri. He is a member of Our Lady of Lourdes Church in Washington, Missouri and lives with his wife and two girls in Berger, Missouri. Her affiliations include: Treasurer for the Washington Swim Team, and a member of the Washington Optimist Club where she previously served on the board of directors. Robin is currently the Director of Accounting for the Washington School District. She attends St. Francis Borgia Church and is a resident of Washington, Missouri. Tyann is a Franklin County native, specializes in vacation rentals and marketing, and is a successful photographer. She owns/manages vacation rental properties and has a line of custom hand painted children's room decor. She is also the Community Ambassador for Touch Stay, speaks at industry conferences, and teaches vacation rental owner workflow, hospitality, guest experience, and marketing. Diana has been an office volunteer for Franklin County CASA for 10 years. She has helped with fundraising and has been a part of several planning committees for the Gala and Justice is Served Breakfast. She also out sold everyone for the Optimist Club of Washington Raffle! Affiliations: Member of Our Lady of Lourdes church in Washington, Four Rivers YMCA, and Franklin County Country Club. Term began: January 2019 Steve has 18 years of professional experience in the Outdoor Advertising Industry as President of Myers Sign Service. He also was elected to be the Mayor of Pacific in April of 2018 where he lives with his wife Lori. Lori and Steve have been married for 26 years and have two grown children: Their 23-year-old son and 21-year-old daughter Lindsey. Steve is active in several local organizations, including: New Beginnings Lutheran Church where he presently serves as the President of the church’s vision team and as a drummer for one of the church’s praise teams. He is also a member of the Meramec River Recreation Association and 9-year organizer of a local Operation Clean Stream Team. Email hosting provided by YHTI.